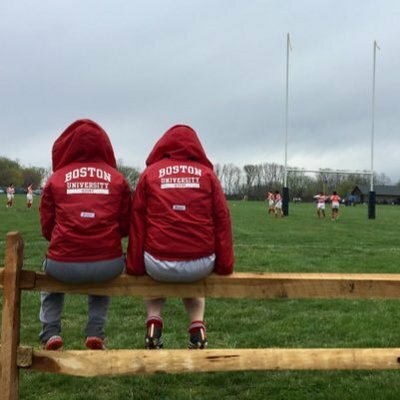 The Boston University Women’s Rugby Football Club seeks an experienced to continue our program’s track record of success in both 7s and 15s at the D1 Collegiate Level. We are a Division 1 club program that competes in the Northeast Division 1 Women’s Rugby Conference (NWRC) league during the fall, playing 15s. In the spring, we compete in various East Coast 7s tournaments. The club has traditionally been successful in both codes, qualifying recently for USA Rugby 15s Nationals, and in 7s participating in several top tier tournaments including the Collegiate Rugby Championship and the American Collegiate Rugby Association Championship. This year the club hopes to qualify for USA Rugby 7s Nationals. Currently the club expects to have at least 25 returning members as well as, based on previous years, around 35 new players joining the club in the fall. BUWRFC alumnae have gone on to play rugby at the club, regional and national level. In addition the club has traditionally provided coaches for local youth programs, and several recent alumnae are coaching at the high school and collegiate level. As the Head Coach, you will run a competitive club sport Women’s Rugby program. On field coaching includes: planning and implementing practices, preparing for games and tournaments, teaching and developing new and returning players’ skills. In addition to on field coaching, you will work to create a positive team atmosphere and develop commitment of team members to team success, with the assistance from Club E-board and the captains. Regular communication with the team in person and electronically is also required. This is a part-time, academic year position with the option to renew annually. This position reports to the Assistant Manager of Intramural and Club Sports. Bachelor’s degree required. Minimum Level 200 USA Rugby Coach Certification. Experience coaching or playing rugby at the collegiate level or national level. Outstanding technical, tactical and strategic knowledge of rugby. Ability to breakdown strategies and plays for both backs and forwards. Strong leadership, interpersonal and communications skills. Must be able to establish yourself as a respected coach to students. Ability to handle emergency situations involving students. Ability to travel with the team, occasionally including overnight trips. Ability to work evenings and weekends and some holidays. Ability and willingness to work in extreme weather conditions (heat, rain, cold). Proficiency with Microsoft Word, Excel, and a database. Experience leading a team of assistant coaches. USA Rugby Level 300 Coaching Certification or higher. Experience playing or coaching at a collegiate D1 level strongly preferred. Basic video filming, editing and analytical ability. If interested please send your resume to buwrfc@bu.edu. Additionally, please reach out with any questions you may have.